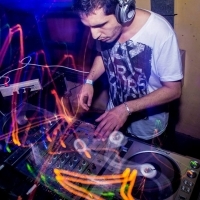 DJ/Producer/Remixer From Argentina, Buenos Aires. Upcoming DJ and Producer Cristian Leonel known as Active Pulse, was born the 29th of August 1987 in Argentina. He started his interest in Electronic Dance Music at the age of 16, listening to DJ/Producers like Paul Oakenfold, Ron Van Den Beuken, Tiesto, Ferry Corsten, etc. At the age of 20 he got his first mixer and started to mix his vinyls with a pair of turntables he owned before and two years later he was doing his first DJ performance in a club. But this was not enough for him, he also studied piano throughout high school and learned how to produce with his favourite DAW. His first release was “Lost Communication” promoted by the German label D.MAX Recordings getting great feedbacks and support. Brand new tracks and remixes are coming, so stay tuned!